Saturn is currently transiting your ninth house. Saturn in the 9th house from natal moon will cause: slight happiness at times and at times severe sorrow, troubles to wife and children, trouble from rivals, enemies and officials, fruitless journeys, loss of elders and obstacles in one's religion. This period in our lives is generally dedicated to self-improvement. Obstacles will also be on your way to success. You might be unnecessarily dragged into litigation, which too, is likely to prolong. Whether you are into business or in service there will be a strong competition and opposition. You will be hard pressed and expected to show good results. In the process your health and family life will suffer and you may come under severe mental distress and pressure. Domestic life will be harmonious and cooperation from friends and relations is also there. Ill health is may be there but timely cured. Business may suffer a minor loss. Saturn will not just show negative effect. After 7 months a promotional change in position is foreseen. You will be much inclined to religious activities. Some pleasant traveling & pilgrimage may be expected. Your beliefs, convictions, ideas may change. You are seeking a higher truth to your everyday existence and just may find it. Changes with authority figures, bosses and older relatives may be a source of concern now. Saturn is currently transiting your eighth house or you are under the sway of Ashtam Shani. You will feel a squeeze on shared financial monies. This could include anything from insurance, taxes, stocks, bonds, inheritance, debts, loans or anything else that is a shared resource with a partner. This can be with a marriage partner or business partner. There is a strong possibility that you will need to learn how to live with less money especially if you have had "shared" money with someone else. Remember that Saturn doesn�t cause trouble. All it does is bring it to the surface. Saturn going through your 8th House doesn�t have to indicate anything like the world shaking. Saturn transiting the eighth brings about sexual dysfunctions, whether we encounter these in ourselves or in our partners. We may face difficulties satisfying our partner and/or encounter problems with intimacy. Life will be quiet unsteady. Saturn�s transit in this house is poised to spoil your health and undiagnosed health problems may be a matter of concern. You may suffer from chronic ailments. Financial matters and all transactions could come under a cloud and strain. Loss of position, wealth is possible. You will face undue delay in recovering long pending dues. Expenditure will be more than income. You are likely to get some unexpected money like from legacy insurance etc. Saturn is currently transiting your seventh house. Saturn may not create any major obstacles for native who are in service but may create a few problems who are in business. In Astrology 7th house is house of your partner whether marriage or business partner. This house is also your house of your spouse and partnership in business. It is also concerned with how the public sees you your image in public. There is a possibility of separation from your spouse and disturbances in married life. New alliances are also possible in business while old being dismantled. Your family life may get disturbed. It is also possible that you may have to move or live apart from your spouse due to business/professional reasons. Single natives will feel the initial pressures of Saturn transiting the seventh house as well. A feeling of loneliness is possible among singles. Healthy partnerships can be the outcome of this transit, whether they are new ones or strengthened existing partnerships. Saturn always brings with itself a fair measure of reality and objectivity, so whatever relationships the native has or wants will be defined and re-defined. Miseries can haunt you on many fronts. Saturn transit will bring reverses and changing career. Health of self and spouse is likely to suffer. You might have to relocate to a far off place. Business projects will take long time and obstacles to complete. You will be able to protect your financial & official interests to a great extent despite some awkward development with the aid of self confidence and blessings of seniors. Saturn is transiting your sixth house. Saturn in the 6th house from the natal moon will cause: Good health, bestow wealth and happiness, conjugal or marital bliss, destruction of enemies. This Saturn transit indicates the your existing diseases shall persist. Skin diseases and infections are likely to grow. In addition to this its influence is favourable for attaining success in career as well as improving financial status. You will enjoy the company of good people you like. There will be success in service and enterprises, recognition of work, heavy responsibility and of course there will be a time when you might be confined to the bed. Saturn turns his critical eye on matters of the sixth house, and you are likely to feel a certain level of pressure in the areas of work, daily functions, habits, and health. You might initially feel bogged down by undue pressure in your routines. This is an excellent time for starting new regimens to improve our health and well-being, such as regular exercise, more structured and productive use of our time, and so forth. Saturn is transiting your fifth house. When Saturn transits through Taurus, the strength of Saturn is considered to be favourable for earning name and fame, securing victory in lawsuits or paying back debts and recovering bad debts. Fifth house is of love, romance, creativity, and children. It can cause emotional disturbance, & give mental tensions. Problems due to spouse and children will make you tensed & there may be small yet significant problems related to children. Love affairs will also be highlighted. You will face disappointments in Love Life. This period can also mark the end of a strong relationship. New relationships may enter your life. If you are single then you will find a sudden change in the behavior of your lover who might start behaving traditionally all of a sudden. For newly married ones, there may be a new child added to the family. This house also rules creativity and self-expression so it would be a great time to take up and take serious your creativity. This might be painting, playing music, singing, dancing or anything that takes serious study and concentration. Saturn will help you stay focused on the task at hand. Saturn is currently transiting your fourth house. Saturn in the sign 4th from your Moon-sign is called Kantaka Sani. It will give conflicts at home & at workplace. It creates domestic trouble and brings challenges in your path of success. Unexpected family related issues may disturb your peace of mind. It will be a time of showing responsibility towards your family. Saturn will test your self-confidence and patience during the next 30 months. Recklessness, anger and unnecessary arguments must be avoided. Estate & transport affairs will create some unusual tension. Litigation, quarrels with your relatives and outsiders will land you in trouble however you will succeed in litigation and vanquish your enemies after much delay and sustained effort. Professionally you will rise & you will get new opportunities of increase in income. For business people, you need to be patient and face competition with a stable mindset. You will surely get success and improve profit margin. Help from friends and close relatives will bring remarkable success in career. Saturn is currently transiting your third house. Saturn is going to give you good results and enhance your confidence and give you the desired results which you were expecting for a long time. Conditions at work place will also improve and you are likely to get full support from your superior and bosses. Success is assured from all spheres. Traveling will be beneficial for you. People in business should expect good results and gains from deals. Your honor and prestige will be on upswing in this transit. You may also go on a long-awaited pilgrimage. However, you need to be more confident in your approach. Short journeys could be tiresome. Throat and ear related problems should be considered seriously. You might feel the desire for more education from many different sources. You may notice that there are increased opportunities to learn through workshops, seminars etc. This 3rd house has a lot to do with your immediate environment as it rules siblings, neighbors and routine in that regard. It also has to do with your mental abilities and mental processes. 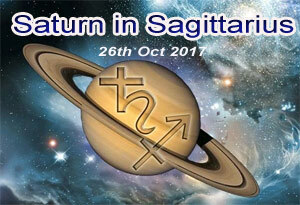 Saturn transit will give good effects and favorable period. You will get pleasure, honor and expand your social base. Domestic life will be harmonious though you may face some trouble through your brothers. You will enjoy sound health. Chronic sufferers will get relief. Saturn is transiting your second house. You are in the third and last phase of your Sadhe Saati. Problems regarding loss of health, wealth will be there. Some friends, relations and colleagues may turn against you. Those in business may suffer financial losses. Domestic atmosphere will get vitiated by arguments and altercations. Family troubles and financial worries will crop up. Delay and hindrance will continue in all your ventures. Business people have to pass through a period of frustration. Fresh investment and further expansion of business should be with held. There are also chances of you being misquoted and misunderstood. Even your spouse may not understand you correctly. Your enemies will be at large in this transit and may disturb your peace. Saturn seeks to make you more responsible with your own money so that you will have more money in the end. By the time this transit is over, you will have a new appreciation for money and what it can do for you. Saturn is transiting over your Natal Moon. You are entering the Second phase of the Saturn Sadhe Sati. During the next 2700 days you have to concentrate more on taking care of internal matters rather than focusing on what�s going on out there with everyone else. The 1st House represents your health, your personality and how you approach things in life. As a result, you are prone to health disorders. Be prepared for futile and tiresome journeys to distant lands. You will become more economical than desirable ignoring your personal needs. There will be separation from the family members. If involved in a litigation, it is strictly advised that you seek an anticipatory bail. I also recall a case where a very good follower of mine was arrested due to mistaken identity, within 24 hours of the commencement of Sadhe Sati. You are also likely to suffer humiliation by your close relatives and friends. Misunderstandings are likely to grow with friends and colleagues. Saturn transit will cause loss of money and fame, fear, enmity with friends and relatives and mental instability. Prolonged illness is also foreseen. Saturn is transiting twelfth house from your Natal Moon. This marks the beginning of the first phase of Sadhe Sati for you. The strong strength of Saturn is favourable for upgrading knowledge, fulfilling desires as well as enjoying happiness of children and grandchildren. In addition to this, it is favourable for deriving benefit from friends and results in an improvement in social as well as financial status. During this phase of 30 months when Saturn transits in Scorpio, you have a very good time to finish things off. However, refrain yourself from starting any new projects. You should be ending and concluding anything that is no longer working for you. It is a time of restructuring your plans. Whether it is finishing a relationship, completing a business project, this period is when you need to complete it all. During retrogression of Saturn, you are prone to severe health disorders. Saturn is transiting your eleventh house. Saturn could bring out problems, difficulties, or extra responsibilities. Maybe the group changes and it�s not fun any more. You can also get a promotion at work or get elected to an office in a club. This means more work and responsibility. Saturn benefits are frequently bittersweet. You will need to focus harder on your long term goals, hopes and wishes as these are the things that are represented by the 11th house. This is also the house of friends and organizations, so you may see yourself drop a few friends when you realize that they are not your friends at all. You may also disconnect from organizations that are no longer serving or are just a complete waste of time. The stress and strain you have been experiencing in your daily routine for the last few years will be over. It will give auspicious results. There is positive chance of wish fulfillment and realization of long cherished dream. Rewards will be paid. Saturn will confer all kinds of happiness, wealth and honor. Income will flow from many sources. Employed people will have better chances of promotion, & also favorable transfers. Career front will be promising. Those who were suffering from health problem will have fast recovery. Success will be made in business, profession and education. Increase in wealth and good health is also possible. Cash inflow will increase. Wasteful expenditure will come down. Socially you will be come more popular & respected. Saturn is transiting your tenth house. You may become more structured, responsible and disciplined with your career and take it more seriously than you have in the recent past. You are ready to get down to work and down to business. Dedication is the key ingredient to your successful career right now. You may feel exposed, publicly scrutinized, or under fire in career. You may also feel burdened by your responsibilities. This discomfort comes only as a result of a rush of reality into the matters of the tenth house, and if the discomfort is great, it is only due to the fact that you may have been holding onto false images of yourselves. From the health point of view this transit is not very promising. Your health may not be very good and if you are suffering from any chronic disease then you may find that your condition may worsen in this transit. Even health of your parents may not be very good. You may be misunderstood and misquoted in your social and family circle.